Proud to be pioneering this new format with Snapchat! Snapchat is getting closer to forking over the data that advertisers want, and the stats will be coming in the form of mobile app-install ads. 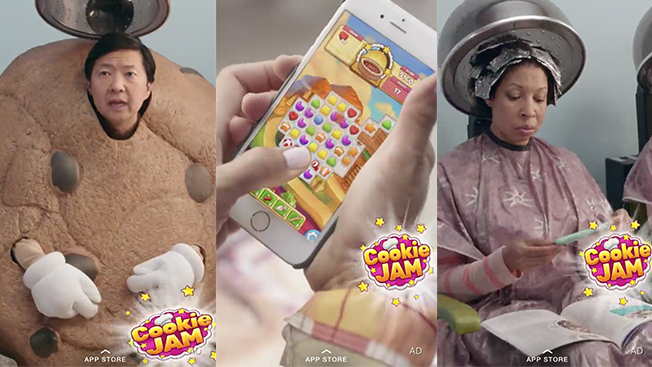 Today, a short video ad promoting SGN’s mobile game Cookie Jam is running within iHeartRadio’s Discover channel—the app’s hub of daily content from publishers. The promo is a shorter version of a 30-second commercial Cookie Jam created in September with actor Ken Jeong, who plays a giant cookie. Read the rest here!